It's a game that has everything: risk, reward, mystery, and the thrill of knowing that, just by being invited to play, you've confirmed your status as a true power broker in Washington. 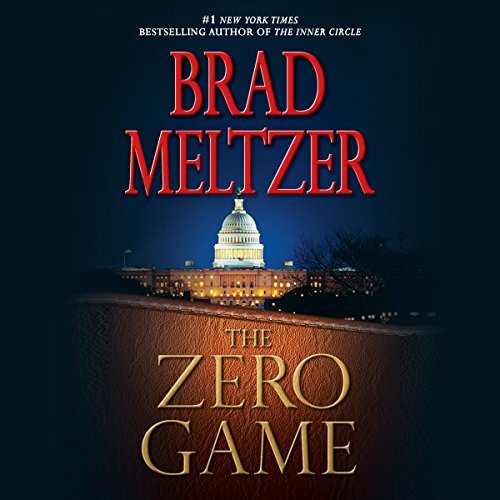 But as Matthew and Harris quickly discover, the Zero Game is hiding a secret so explosive that it will shake Washington to its core. 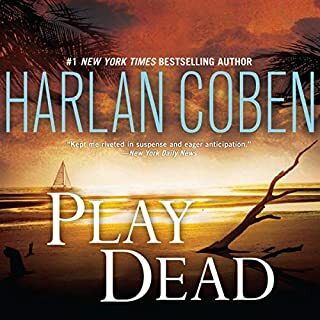 And when someone close to them winds up dead, Harris and Matthew realize this game is far more sinister than they ever imagined. As the bull's-eye turns their way, it's clear they're about to become the game's next victims. In a frenetic chase from the secret tunnels under the Capitol to an abandoned gold mine halfway across the country, the two friends realize they're no longer players in the game; they're pawns. 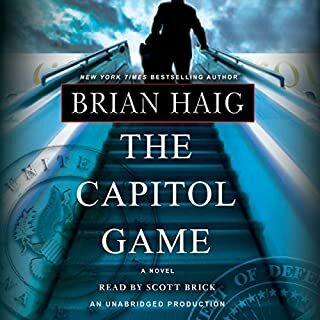 On the run, they turn to the only person they can trust: a 16-year-old Senate page who can move around the Capitol undetected. As a ruthless killer creeps closer, this idealistic young page not only holds the key to their safety, but is the one person who can redeem them in the process. 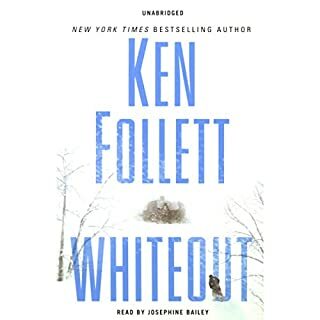 Too often political novels are based in the White House, but this one is written to tell the interior workings of the legislative branch. The first part of the book shocks the reader, and then takes off on a fast paced and amazing adventure. I found this book to be truly enjoyable with appeal not only to political devotees but to any one who enjoys a good fast paced novel. Scott Brick makes any text great but this book is a real "cliff hanger" / "page turner" / couldn't tear myself away from it. 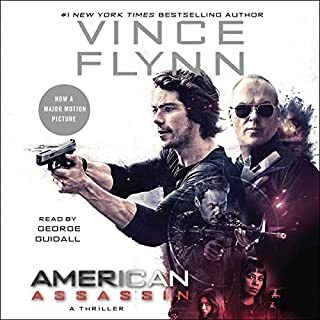 I happen to like the lengthy descriptions in unabridged versions and Scott Brick has a talent for putting the listener right in the scenes. I didn't agree with other reviews as I thought the answer became very clear at the conclusion. 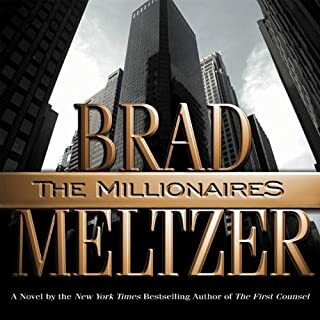 I have read all of Brad Meltzer's other books and this was my 1st time to listen to an audio version. Then when I realized that the narriator was Scott Brick (The Company) it was like icing on the cake. Other reviewers had said they thought Brad was too wordy but I like that about his work. Brads stories catch me quickly and carry me along with each twist and turn of the character and the story.... I like that. Great listen!!! I listened to the unabridged version. The abridged version might be more enjoyable. The plot and characters are interesting. Changing the primary character is something I found to be shocking and kept me interested. Scott Brick does a nice job on the reading. But, the writing is repetitive. I would echo Brad, from Alpharetta, GA comments, I wish I would have purchased the abridged. There are two action sequences that went on for what seemed like forever that could be shortened considerably or made more interesting. I am sure they were supposed to be suspenseful, but they are simply annoying. If I could give half stars I would have given it 2.5 because it's right in the middle as far as I'm concerned. I enjoyed it somewhat but I wouldn't say it's a must read. It did hold my interest because the author did make me want to hear more which is a good thing. As one of the other reviewers mentioned above the basic premise of "the game" really has very little to do with the core plot of the book. It seems that the gambling was a very clever vehicle that was kind of inserted into a formula action thriller. As an action thriller it holds it's own however. The 1st person shift from Matthew to Harris I actually found annoying at first - but I got over it. Excellent and well read. The publisher summary misleads you and shows that whom ever wrote the summary has not listened or read book. Tend to drag in spots and appears that it could have been much shorter. Many times a ten minute decription could be done in three and been just as effective. Think that the abridged version is probably the best bet. This is a good book, but it's the first time I wish I would have chosen the "abridged" version of any audible novel. The problem is simply that it's too long winded. There are passages of action that should be describable in a minute or two, yet take 10 minutes. This is meant, I assume, to build suspense, but the net result is that it just becomes a little boring in these sections. Overall, the book is quite good and entertaining... not so much a political thriiller as it merely uses the guise of politics as an introduction to the novel rather than for the plotline. My only other complaint is that it left me with one unanswered question -- unfortunately, that question pertains to an event that happens that starts the roller coaster ride of a story. Without an answer as to why things were done they way they were (I don't want to give away anything), I'm left not understanding why there was ever a story to begin with. ...you will most likely give this a three star or maybe four stars. I cannot listen to Scott Brick. It is like finger nails on a blackboard. Unfortunately, I got this book without checking the narrator. Brad Meltz is a very good writer. So, I listened and couldn't stop because I needed to know how it ended. 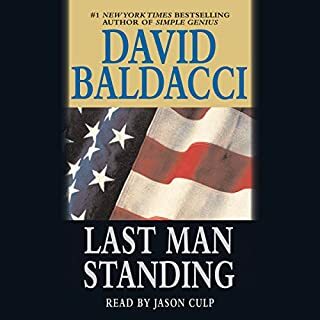 Generally fast paced, interesting plot shifts, good character development and an insider's knowledge of congressional politics makes this an exciting read. A mid-course shift in the first person narrative is a new one to me! This audio book unfortunately didn't live up to my expectations. I was expecting something a little more "West Wing," a little less "Die Hard." If you're expecting an exciting novel that provides insight into the inner-workings of Capitol Hill, you should look elsewhere. If you're looking for an action-filled novel with little intellectual stimulation, this may be the book for you. The narrator does a good job of keeping you interested, despite the weak character devolopment and cheesy dialogue. The overly dramatic music filtered through the background annoyed me a bit.